The 1928 Olympic Games held in Amsterdam was notable for a number of firsts—the first time the Olympic flame was lit in the stadium, the first time the parade of Nations started with Greece, the first time women participated in gymnastics, the first time a strict schedule of 16 days was introduced and the first appearance of Coca-Cola as a sponsor. Queen Wilhelmina refused to come back from holiday in Norway to open the Games, Tarzan (Johnny Weissmuller) won two gold medals in swimming and the very first World Congress of Sports Medicine was held in conjunction with the Games. Hosting the Olympics gave both Dutch sporting infrastructure and also sports and exercise medicine a major boost. Exactly a century later, the power of the Olympics inspires our nation once again to bid for the 2028 Olympic Games. We are eager to harness the impetus provided by the Olympic Games to build a far-reaching legacy—improving the health of the population through sports and exercise. Building a nation where the population is healthy and fit! A side effect of increasing the number of people starting to exercise will inevitably be an increase in sports-related and exercise-related injuries. The prevention and appropriate management of these injuries are vitally important to ensure that individuals do not quit due to injury. In this issue, we focus on lower-extremity injuries. If we start from the top and work down we begin with a novel view at the anatomy of the proximal adductor and gracilis tendons by Davis et al.3 They highlight the complexity of the groin region (see page 875). Fearon investigates the Relationship of Femoral Neck Shaft Angle and Adiposity to Greater Trochanteric Pain Syndrome in Women4 (see page 892). Moving a little bit more distal the work of Cacchio et al5 (see page 887) shows that three clinical tests for proximal hamstrings tendinopathy are reliable and valid, whereas Malliaropoulos et al6 review the possible role of eccentric training in hamstring injury prevention and introduce exercise classification criteria to guide clinicians in designing strengthening programmes (see page 850). It appears that eccentric exercises can increase lower-limb flexibility7 (see page 842). Going down to the shins, Newman et al8 demonstrate that both palpation and oedema clinical tests are significant predictors for later onset of MTSS (see page 865). Three other papers focus on acute ankle injuries. Tully et al9 (see page 881) make the first step towards developing an evidence-based walking prescription after acute ankle sprain, and it seems that therapeutic ultrasound application is not a clinically beneficial treatment for acute ankle sprains.10 Kerkhoffs et al11 present a multidisciplinary consensus statement with evidence-based clinical guidelines on the prevention and management of ankle sprains (see page 839). Finally, a pre-conditioning programme appeared to be an ineffective intervention to reduce the number of running-related mainly lower-extremity injuries in novice runners12 (see page 869). Implementing and communicating the health benefits of sport to the public at large remains a major challenge. With the increasing amount of research and evidence-based guidelines on the prevention and treatment of sports- and exercise-related injuries, we are also trying to move with the times. In 2010, The Netherlands Association of Sports Medicine created a platform (KTS) to improve knowledge transfer in sports medicine and to narrow the gap between the athletic world and the research institutes, (http://www.sportgeneeskunde.com/vsg_kts). Some of the innovative ideas designed to help optimise the communication of research findings to the athletic field, and to alter clinical practice in sport, have involved the creation of Apps and websites. For example, the results of research on the prevention of secondary ankle sprains were used to create a dedicated website and the results have proved to be very successful. The website now has over 1500 visitors each weekend (http://www.sportzorg.nl/oefeningen) and a free-to-download App helps to rehabilitate ankle injuries in a methodical manner http://itunes.apple.com/nl/app/versterk-je-enkel/id456001033 and https://play.google.com/store/apps/details?id=nl.veiligheid.versterkjeenkel. Now that these new, App-based, prevention and rehab programmes are freely available, we eagerly await the first published systematic review in the field. 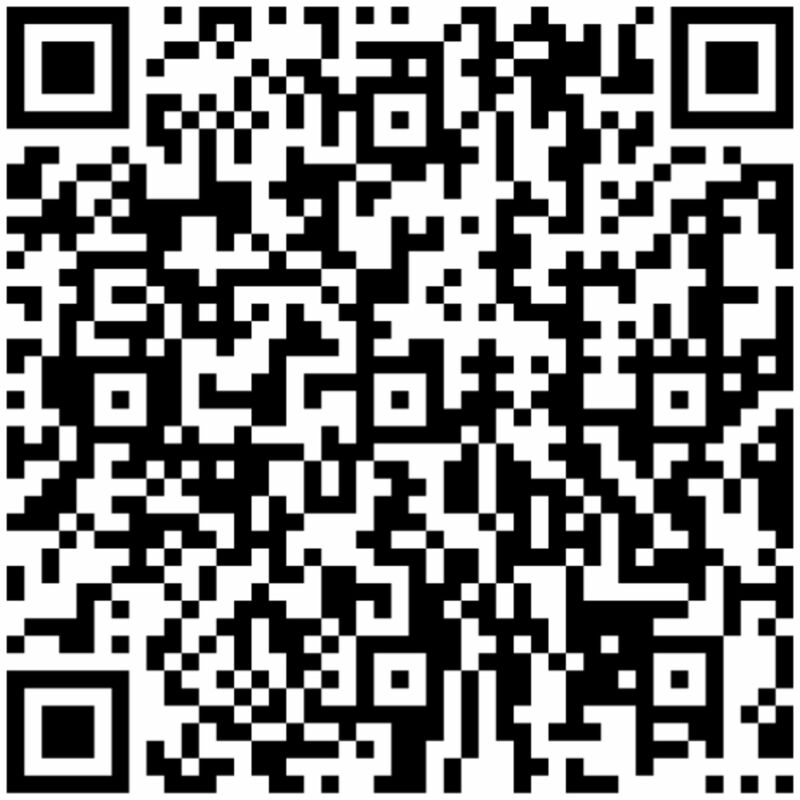 QR code linking to reference 13 (QR codes like this enable mobile phone users to download text or weblinks). Preliminary results indicate that only a small number of Apps (relating to sports injuries) have been developed for athletes and, in some cases, their content is not completely evidence based. One would hope that many more Apps will become available in the near future but new research is needed to develop, improve and evaluate these apps13 (see figure 1). A good example of an App-based project is the Dutch Running Cohort study initiated by the Dutch Athletics Federation and running-related researchers from leading Dutch universities (http://starttorun.atletiekunie.nl/index.php?page=3267). Annually some 8000 novice runners, based at over 100 locations around the Netherlands, participate in a supervised running promotion programme called ‘Start-to-Run’. Start-to-Run focuses on adults of all ages, with and without previous sports experience, and aims to encourage them to start running as part of their lifestyle. It appears that an important reason for dropping out is the occurrence of an injury. This new App-based prospective Running Cohort Study will answer many questions on running injuries, for example, if barefoot running reduces injury risk compared to running on (wooden) shoes. Do not talk double Dutch! Looking to the future, we hope to be able to keep App with the times and respond in a positive way to the myriad of questions posed by our exercising population. We can only hope to achieve our ambitious goal of a healthy and fit population in 2028 by getting our message across simply and clearly—without talking double Dutch. In this context, the Netherlands Association of Sports Medicine is going for gold!
. Effect of high impact activity on bone mass and size in adolescent females: a comparative study between two different types of sports. Calcif Tissue Int 2000;67:207–14.
. New insights into the proximal tendons of adductor longus, adductor brevis and gracilis. Br J Sports Med 2012;46:87580.
. The relationship of femoral neck shaft angle and adiposity to greater trochanteric pain syndrome in women. A case control morphology and anthropometric study. Br J Sports Med 2012;46:8926.
. Reliability and validity of three pain provocation tests used for the diagnosis of chronic proximal hamstring tendinopathy. Br J Sports Med 2012;46:88791.
. Hamstring exercises for track and field athletes: injury and exercise biomechanics, and possible implications for exercise selection and primary prevention. Br J Sports Med 2012;46:8505.
. The effects of eccentric training on lower limb flexibility: a systematic review. Br J Sports Med 2012;46:8429.
. Two simple clinical tests for predicting onset of medial tibial stress syndrome: shin palpation test and shin oedema test. Br J Sports Med 2012;46:8658.
. Functional management of ankle sprains: what volume and intensity of walking is undertaken in the first week postinjury. Br J Sports Med 201246:8816.
. Therapeutic ultrasound for acute ankle sprains. Cochrane Database Syst Rev 2011;6:CD001250.
. Diagnosis, treatment and prevention of ankle sprains: an evidence-based clinical guideline. Br J Sports Med 2012;46:83940.
. The effectiveness of a preconditioning programme on preventing running related injuries in novice runners. A randomised controlled trial. Br J Sports Med 201246:8402.
. Injury prevention and treatment in your pocket?′ Do apps adhere to the evidence. Medicine 2.0: 5th World congress on Social Media, Mobile Apps, and Internet/Web 2.0 in Health, Medicine and Biomedical Research. Medicine 2.0′12 (Boston, USA). 2012; http://www.medicine20congress.com/ocs/index.php/med/med2012/paper/view/817 (accessed 18 May 2012).
. Injury risk in Danish youth and senior elite handball using a new SMS text messages approach. Br J Sports Med 2012;46:5316.